Come celebrate Galentines Day with yoga, mala making and wine! This is an evening focused on self-love and honoring ourselves and the relationships that fuel us the rest of the year. You can come with your gals or come solo ready to meet other incredible women. 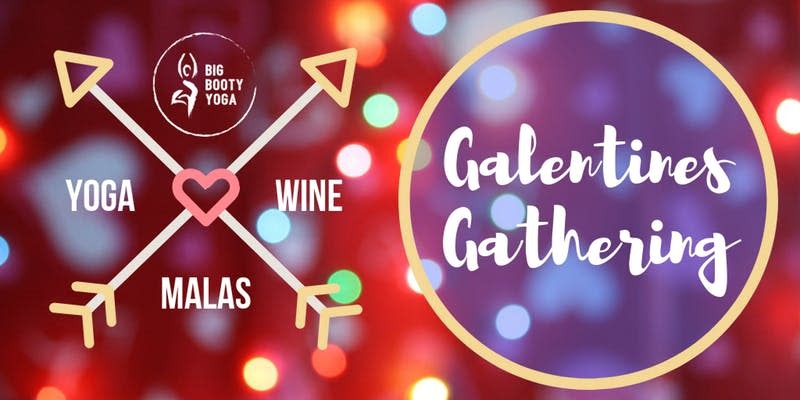 At this Galetines Gathering Kady of Big Booty Yoga will guide you through a 45 minute yoga class focused on self- love followed by a mala making workshop and time to complete your mala with a three wine tasting + glass of wine in hand from Wild Women Wine. Expect Beyonce, Aretha, Lady Gaga and many other female power houses to be playing in the background of this fun and empowering evening at Wild Women Wine. This gathering is intended to empower, embody and celebrate the incredible gal you are and the gals that surround you. Purchase of a ticket includes, yoga class, mala workshop, all mala making material and complimentary wine + champagne.